The Big Downturn? 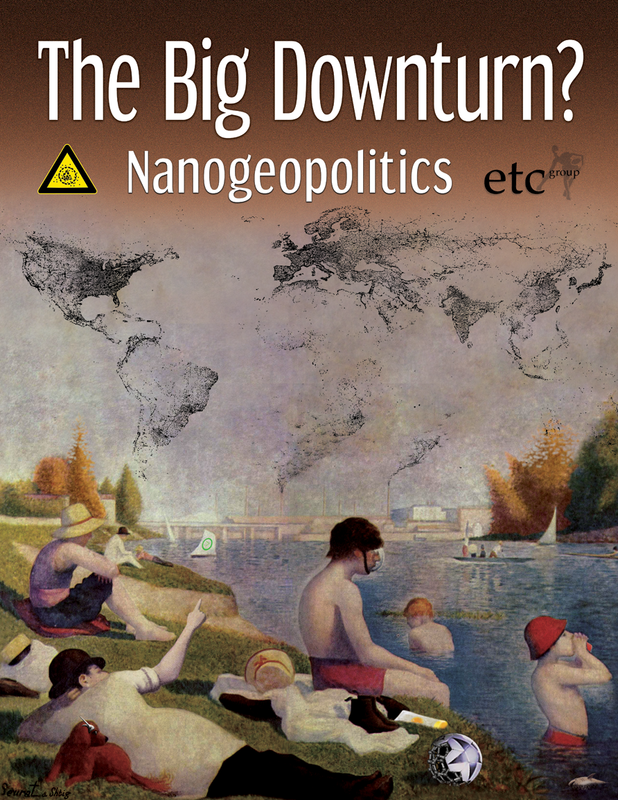 Nanogeopolitics, ETC Group’s new 68-page report on global governance of nanoscale technologies, is an update of our 2005 Nanogeopolitics survey. In the intervening five years, policymakers – some kicking and screaming – have begun to acknowledge that fast-tracking nanotech has come at a price and that some sort of regulation is needed to deal with at least some of the risks nanoscale technologies pose. But governments and industry, hand in hand, have come too far and invested too much to give up on nanotech’s promise of becoming the strategic platform for global control of manufacturing, food, agriculture and health – a pillar of the 21st century’s “green economy.” This report revisits nano’s geopolitical landscape, providing a current snapshot of global investment, markets, governance and control, including intellectual property.